Who needs a dose of feel good, audio happiness? 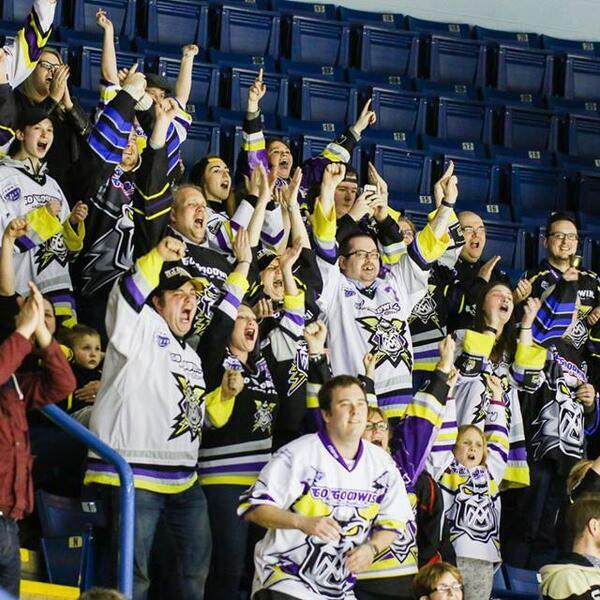 Manchester Storm made sure that their fans will be going in to the final game of the regular season with a smile on their face after a huge win over Nottingham Panthers, and The Forecast was there to bring the happiness to your ears. Lee Middletons speaks with Forecast regular Nick Barlow as well as some of the assembled Storm fans at the Nottingham Ice Arena, as we get reaction during and after the game. We hear the thoughts of Player/Coach Omar Pacha ahead of the final game of the regular season. Scorer of the opening goal, Jack Prince, gives us an insight into how the players are feeling and we also discuss his call up to the Team GB Squad. Plus something you never thought you would hear as a Manchester Storm fan wishes Sheffield Steelers Head Coach Paul Thomson, Good Luck . . . . . . . If this week's podcast doesnt leave you smiling then you haven't played it loud enough.